Check our inventory online by searching above for the title! Locally owned and operated for 32 years! In 2018 albany books is celebrating 33 years of serving the local community. Find us at 1240 56th St which is on the northeast corner of 12th Ave and 56th St beside the Chevron gas station. We have a wonderful store that is very warm and inviting for you to visit and browse in. 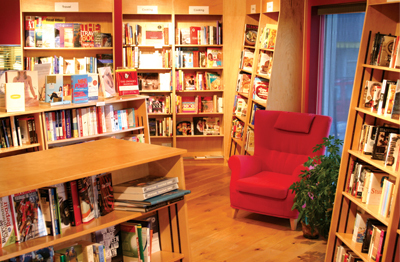 albany books has gift cards for your convenience. These attractive cards allow you to pre-load any value and track your purchases over time. Unlike gift certificates that often get lost or misplaced, these easily fit in your wallet and are very durable. We also have several gift card holders for you to choose from for the best presentation possible at gift giving time. Ask about them on your next visit! albany books has plenty of innovative, fun and unique gift ideas to choose from. Come in and check out our extensive selection and be sure to ask our staff if you can’t find what you are looking for. They always have great suggestions on hand!